We will help you keep your teeth and gums healthy for life through gentle regular cleanings and effective gum disease treatment. Dr. Jahangiri and our skilled hygienists are known for their friendly and knowledgeable care and will make you feel comfortable during your visits. Dr. Jahangiri does a thorough new patient exam that includes digital X-rays, photos of the inside of your mouth and an examination of your gums to assess for gum disease. Based on his findings, he will come up with an individualized treatment plan. 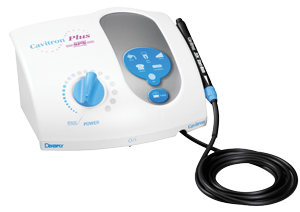 Ultrasonic scalers are used to gently and comfortably remove plaque and stains from the surface of the teeth. Our hygienists provide thorough and gentle cleanings. For routine teeth cleaning, we use traditional methods as well as an ultrasonic scaler, which gently and comfortably removes plaque and stains from the surface of the teeth. We have a variety of educational tools and visual aids to show you how you can keep your teeth and gums in tiptop shape. When hardened deposits of plaque (calculus) form beneath the gumline a patient has gum disease. Our hygienists perform deep cleaning, also known as scaling and root planing, using ultrasonic scalers as well as hand instruments. To ensure bacteria and infected tissue have been eliminated, we can also use a gentle soft-tissue laser. In scaling and root planing the hygienist gently removes the hard deposits that have formed on the teeth. The tooth surfaces are then smoothed out. followed by smoothing the surfaces. Smoothing out these rough surfaces helps prevent the gums from becoming irritated or bacteria from forming inside the tiny crevices. 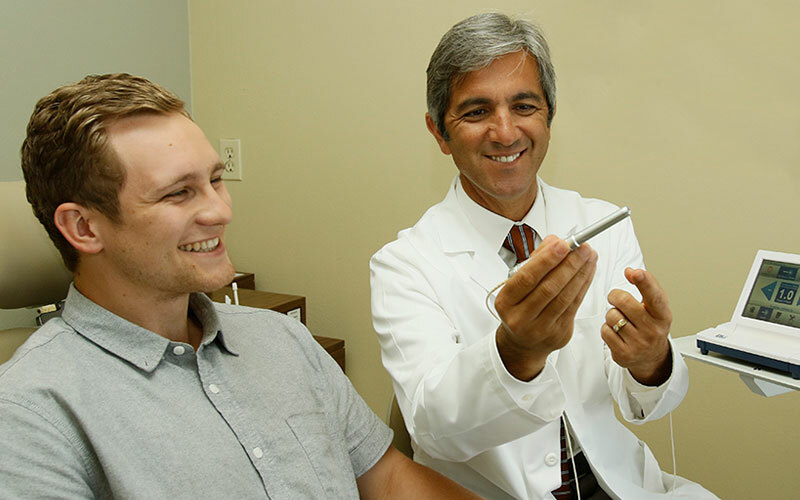 Dr. Jahangiri uses lasers for minimally invasive gum disease treatment. Dr. Jahangiri is highly experienced at effectively treating all stages of gum disease. 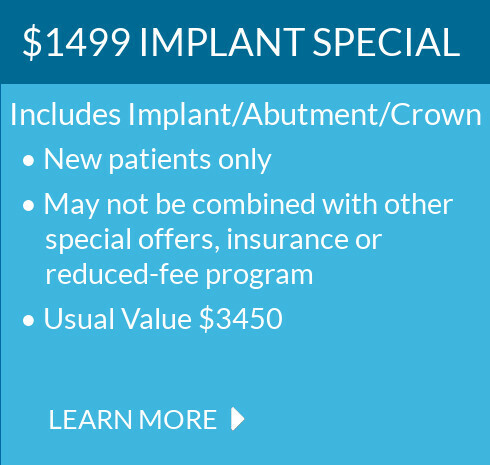 His approach is to start out with non-invasive deep cleaning to remove hardened plaque, and repeating treatment over a period of months until the gum disease has been eliminated. Dr. Jahangiri has many effective techniques for tackling more severe or persistent cases of gum disease. After removing infections from the gums, he may use Arestin®, a localized antibiotic therapy that inhibits further bacteria growth on the gums. Dr. Jahangiri also performs laser therapy, a minimally invasive treatment that effectively removes bacteria from the gum pockets. Laser therapy has also been shown to have extensive regenerative properties to help repair bone and gum tissue affected by gum disease. Dr. Jahangiri uses lasers to disinfect the gums after deep cleaning to ensure the elimination of bacteria. He also uses laser therapy instead of periodontal surgery to treat severe gum disease. Recovery from laser therapy is quick and there is much less discomfort after the procedure compared to traditional surgery. Dr. Jahangiri may perform surgery in very severe cases of gum disease. However, he has helped thousands of patients successfully overcome gum disease without the use of surgery. No matter the level of periodontal treatment required, we can help you with friendly and competent care in the comfort of our office.